Vijay's 2016 blockbuster Theri's Hindi dubbed version will have its first world premiere in Sony Max on 1st July 2017 at 8 pm. 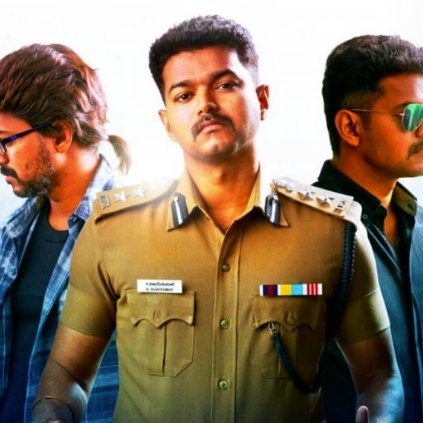 Theri is undoubtedly one of Vijay's career best films. The film marked Vijay's first association with director Atlee. Vijay's dialogue and socio reference with a few current affairs made the screenplay of the film racy and enjoyable. It was also rumored that Theri would be remade in Hindi with Shah Rukh Khan and Akshay Kumar's names suggested for Vijay's role. Theri also won few Behindwoods Gold Medals under People's Choice category, Vijay bagged favorite actor while Atlee and Samantha bagged favorite director and favorite actress respectively. After Surviva, here is the next!